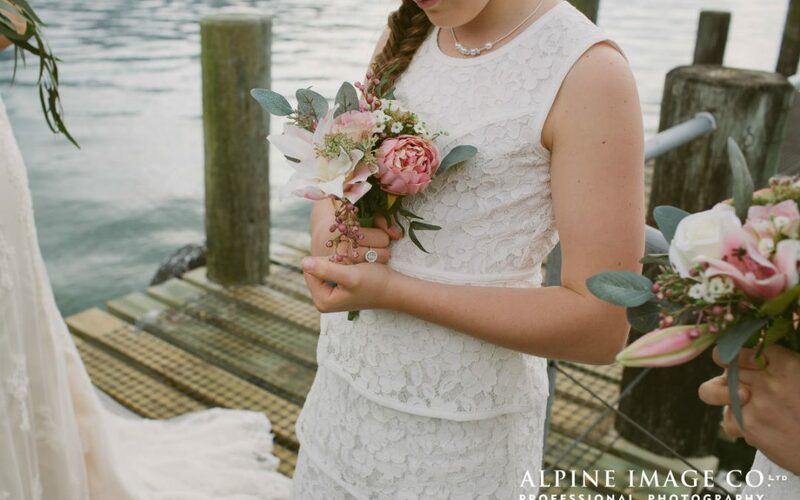 In How to Personalise Your Queenstown Wedding Ceremony I gave 5 quick tips on personalising your own Queenstown wedding. Here’s more detail on just one of these ideas – Including family and friends in your wedding ceremony. Invite your kids, your parents or all your wedding guests to say “I do too!” These are the people who have loved and supported you in your relationship so far and they will continue to play a vital role in your marriage going forward. Ask some or all of your guests to hold your wedding rings in turn before you exchange them. The idea is that your rings are “warmed up” by their love and best wishes for your married life and that this warmth is carried with you as you wear your rings every day. If you’d like to include a poem, reading, or musical performance during your wedding ceremony, why not ask a friend or family member to present this on your big day? 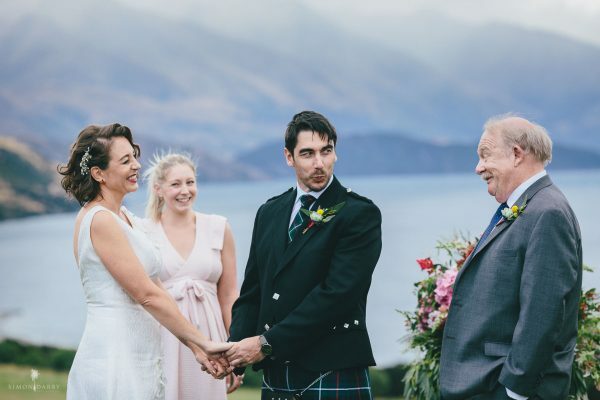 Take this opportunity to acknowledge other couples who inspire you or even ask them to share some of their own marriage advice to the newlyweds during your ceremony. 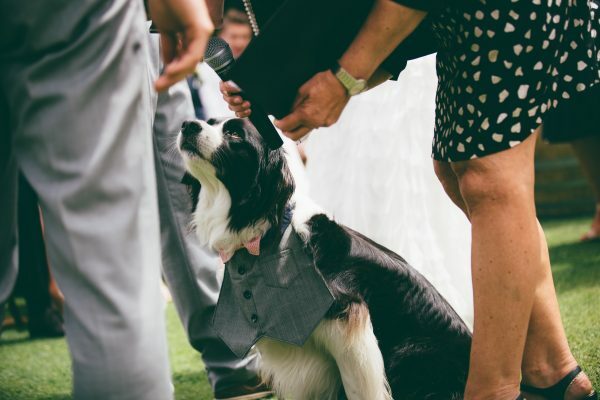 If you have a pet-friendly wedding venue why not bring along your doggie as your ring bearer! If your fur babies can’t be there on the day, you can ask your celebrant to acknowledge them in the ceremony or have photos of them up there with you as you say “I do”.